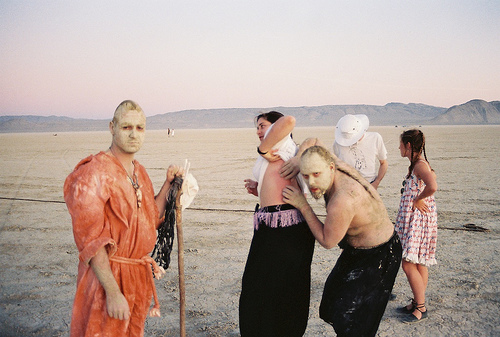 C. Nicholas Lynch, an old friend & roommate has assembled a few sets of ancient photographs documenting the first few two years (1990 and 1991) of Burning Man in the Black Rock Desert. 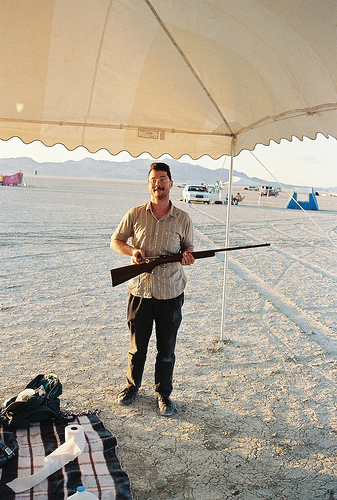 The photos are great examples of early camp life on the playa. Other photo credits go to Sebastian Hyde, Ann Head, Julia Wharton and a few other roommates from that time. Nicholas and I shared a house (1907 Golden Gate) with many artist and Cacophonists, presided over by Miss P. Segal. It was the location of many Cacophony Society event planning sessions, including “Bad Day at Black Rock, Zone Trip #4” and home to the Marcel Proust Support Group.